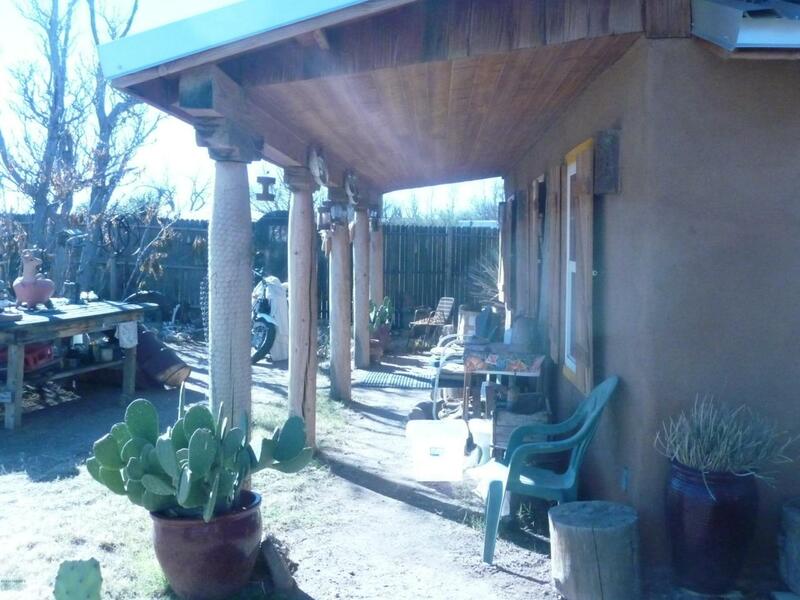 THIS ADOBE HOME HAS SO MUCH CHARM WITH OPEN FLOOR PLAN FURNISHED 1 SEPARATE BEDROOM, WOOD STOVE, KITCHEN ISLAND, FRONT PORCH, WOOD SHUTTERS, SEPARATE SHOWER HOUSE WITH FULL LAUNDRY, TANKLESS WATER HEATER, MOUNTAIN VIEW, SEPARATE FIRE PIT AREA AND WOOD BURNING ORNO WITH A 16 BY 16 COVERED METAL CANOPY. THIS PROPERTY HAS 2 RV HOOKUPS WITH ELECTRICITY, WATER AND WASTE (NO BLUE WATER) Seller and assessors office have no record of year built. Buyer to verify all information.